As delicious as it is refreshing, Choya is ideal as an aperitif or enjoyed in other drinks. 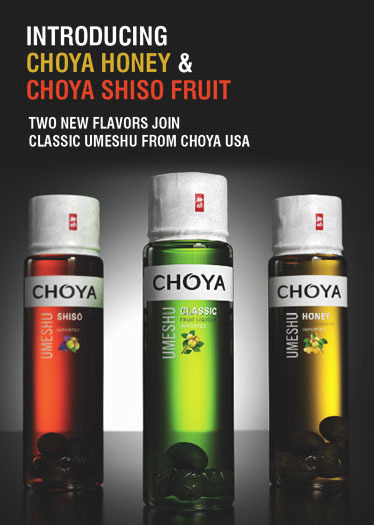 Whether poured on the rocks, with club soda, fresh fruit juice or other mixers, or mixed with one or more distilled spirits to create a classic cocktail like a martini or mojito, Choya Shiso, Choya Honey and Choya Classic Umeshu are supremely versatile. They are all made with 100% natural ingredients; at 15% abv. Long reputed for the healthful properties of Ume fruit – medicinal properties of this native fruit are recorded as far back as 984 A.D – Choya’s line of Umeshu liqueurs are renowned for their quality.